Emergency chairs! 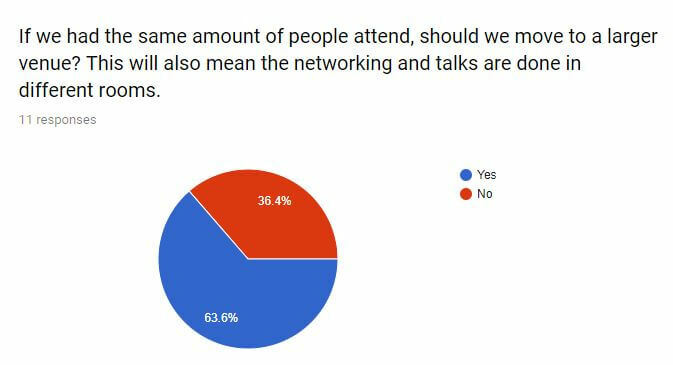 SearchNorwich 4 had record turnout of 71 people and a record in terms of the highest feedback ratings we have received so far! Mark Williams-Cook: Won’t somebody think of the robots? All resources: Won’t somebody think of the robots? Our highest rated event yet! 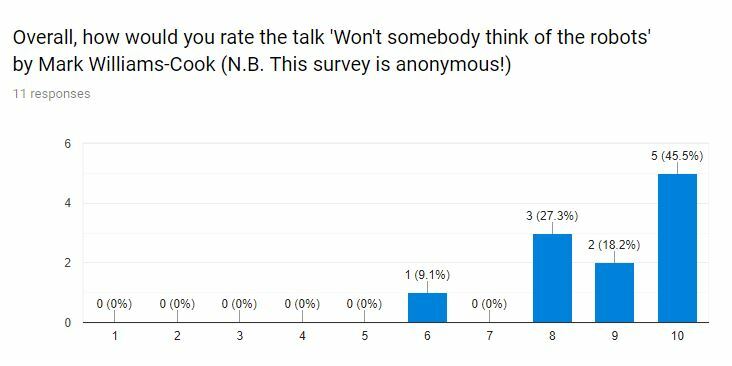 While I will be pestering more of you to complete the feedback surveys, it was really encouraging to see that the average rating of our speakers is up-trending, so the bar has been set for SearchNorwich 5! Again, I want to give a big thank you to Lukasz Zelezny, who despite train problems in London – still opted to take an Uber and then a train to get to Norwich on time, so as not to let us down. What a hero! I tried to get some sense on how everybody was feeling with the venue – and it is clear there is no big feeling one way or another. At the moment, the only issue we have experienced with the brilliant St. George’s Works is the size of the TV that the presentations are being done on. I’ve spoken to the venue about this and they are looking at the possibility of upgrading next week, so I will wait to hear back from then and partially base the decision on where to host on this. There are other options – but St. George’s Works has been amazing for us in supporting and getting SearchNorwich off the ground, it’s a great venue and I personally think it would be a shame to leave unless attendance numbers made it necessary. Our sponsors for January 2019 were Integro, R13 Recruitment and of course, MP Photography & Videography – thank you all so much! To give you a chance to recover from the holidays, we’re putting SearchNorwich 4 back to the second Thursday, 10th January 2019, as usual at St. George’s Works and kicking off at 6:15pm! 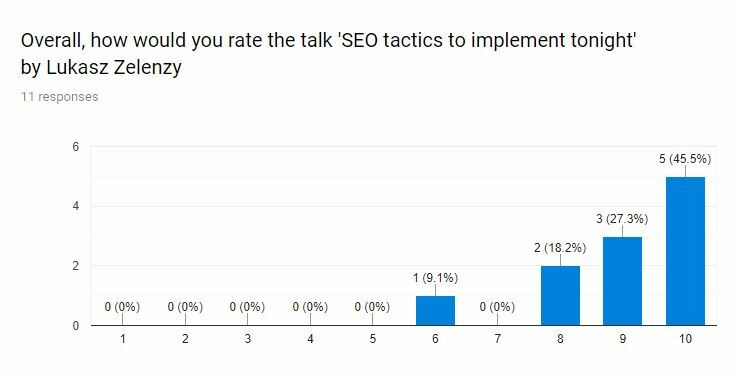 In January, we’re going to have international speaker, Lukasz Zelezny join us to talk about SEO tactics to implement tonight. Lukasz is Director of Organic Performance for Zoopla, uSwitch and PrimeLocation and has spoken all over the world at SEO conferences, so he’ll definitely have some exciting tactics to share! We’re also join by Natalie Haydon from Affinity Agency, one of Norwich’s most established digital agencies. Natalie’s talk, Why paid search strategies are so important for organisations will dive into agency strategies and various platforms, looking at how to find a match for your business model. Mark Williams-Cook will be standing in for Natalie, giving a “promptly prepared” talk on the important facets of SEO that commonly get looked over in the development cycle – Why won’t somebody think of the robots? Lorraine Bliss, MBE will be taking the much-loved charity spotlight in January to tell us about St Edmunds Society, better known as St-Eds. St-Eds is a non-profit organisation that supports the young people of Norfolk to gain accredited training. 19:00-19:30: Mark Williams-Cook: Why won’t somebody think of the robots? How to utilise paid strategies to cut through in an ever increasingly competitive marketplace. Refill your glasses, share your thoughts on what you’ve just learned and meet some new people! Drinks and snacks are kindly provided by our November 2018 sponsors.